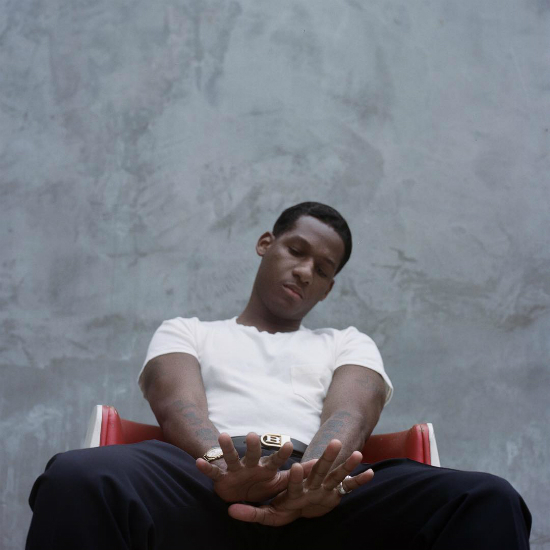 After releasing his second album Good Thing back in May, crooner Leon Bridges has been promoting the collection heavy with videos, collaborations, live performances and more. So it should come as no surprise that while he was in New York City recently, the singer rode the promotion train over to the Spotify studios to perform Good Thing single "Beyond" and drop off a cover of Ginuwine's R&B classic "Pony" for Spotify Singles. With "Beyond," Leon and his band deliver guitar, percussion, organ and killer harmonies in a lovely live rendition of the track. Don't be surprised if this song makes you want to gather 'round a bonfire with friends and have a sing-along – or maybe that's just us. After getting it in on "Beyond," the newly minted 29-year-old singer decided to dig in the crates for his favorite late '90s track for his next selection. On Leon's "Pony" cover you'll find the sexual innuendo gets watered down a tad by his more mature-sounding delivery and the smoother instrumentation that's more jazzy soul than R&B. Leon still does the track justice, giving it his own unique spin. If you've seen Bridges live before, then you already know that "Pony" is a part of his set list, but now you have an audio recording to play whenever you like. Leon heads on his Good Thing Tour starting this summer, so you can catch him and his version of "Pony" on the road. If you want to hear a sample before you commit to a ticket, listen to Leon's Spotify Singles below and let us know if you wanna ride with him or not.